Our newest guide dives into the many choices available in your pet's diet! This weekend my family enjoyed a weekend trip to Delaware Valley University in Doylestown, PA for their annual A-Day which stands for Activities Day. Since 1949, DVU which was originally founded as an agricultural school has been opening their campus to the public for this weekend event filled with activities, seminars, shows and food. Thank you to Phyllis and her team at Happily Efur After for caring for these amazing creatures and bringing them to our store to visit. It was a huge success! The cats got lots of love and attention, some even found homes, we raised money and our customers were able to see some adorable creatures. Let's Talk Dogs: Basic Handling, Walking and Going Off-Leash! with Natasha from Dog's BF! "Let's Talk Dogs: Basic Handling, Walking and Going Off-Leash"
Featuring Natasha Hiden-Burns, BCBA, MA Behavior Analyst and Trainer from Dog's Best Friend. Our purpose is to teach people who are motivated to learn how to effectively communicate with their canine companion. We believe that consistent exercise is the one of the most important components for a stable and healthy dog. Pair this with structure, discipline and lastly affection and you have a well satisfied canine. We're hiring! 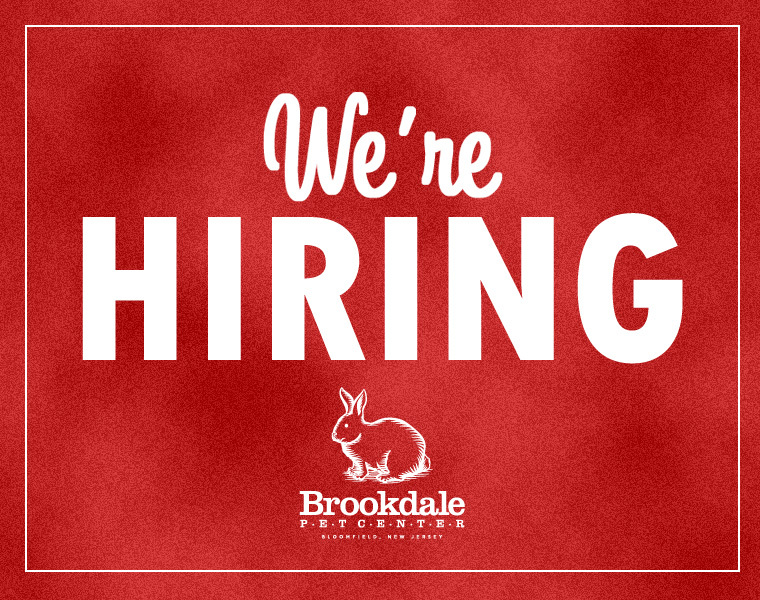 Join our team of animal lovers. 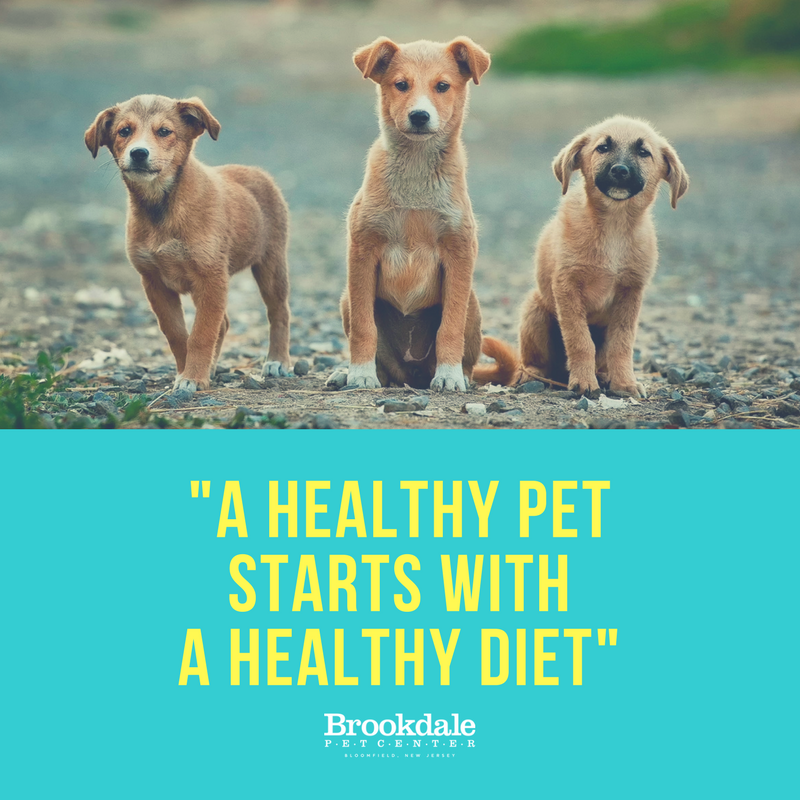 Brookdale Pet Center has been a member of the community since 1994 servicing customers by providing pet food and supplies for dogs, cats, fish, reptiles, birds and small animals like rabbits, guinea pigs and hamsters. Specializing in natural and holistic products, we focus on providing every animal with the highest quality of life by closely mimicking the native habitats and instincts of each individual pet. Through education and a wide selection of products, we hope to provide every customer with the necessary tools to keep their four-legged, finned or feathered family members happy and healthy. Part-time to possible full-time. Working with pets and helping pet owners can be very rewarding but is also very physically and mentally demanding. Day to day tasks will include animal care (feeding, cleaning and socializing), customer service (cashier, assistance, answering questions), inventory management (unpacking deliveries, inventory, a lot of moving things around), and general cleaning of the store. Be prepared to be on your feet and on the move the entire time. P unctual, punctual, punctual and punctual. Did we mention punctual? You're invited! We are excited to have Jacqueline Hill, founder of Answers Pet Food, present an informational seminar on the benefits of raw feeding. All attendees will receive a free complimentary Answers product pack worth over $20. To reserve your space, be sure to RSVP by calling us (973) 893-0990 or Send us an Email. Thank you to Morgan Le Fay Cat Rescue and Furry Hearts Rescue for caring for these beautiful creatures and taking them to visit our store. Our team and customers had a wonderful experience spending time cuddling and playing with the kittens! There were also a couple cats adopted which we are thrilled about! Welcome to our new website! In preparation for our 20th Anniversary, we wanted a fresh look. We plan to update our blog with helpful tips for pet owners. If you have anything you would like us to talk about, feel free to leave a comment.